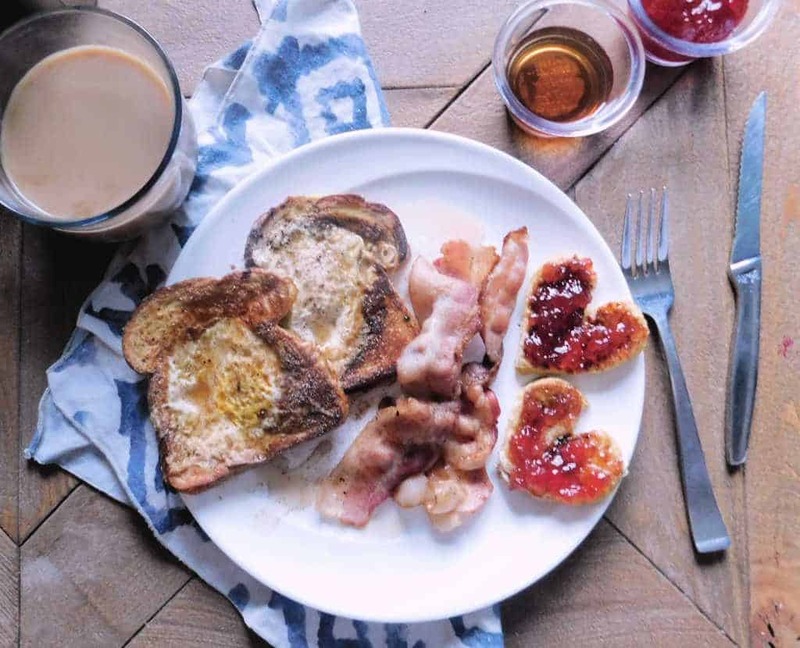 Today’s recipe is a special breakfast dish to whip up for your Valentine. I titled it Heart Attack on a Plate because it’s high in calories, loaded with fat and should only be eaten on special occasions unless you actually want to develop heart disease. 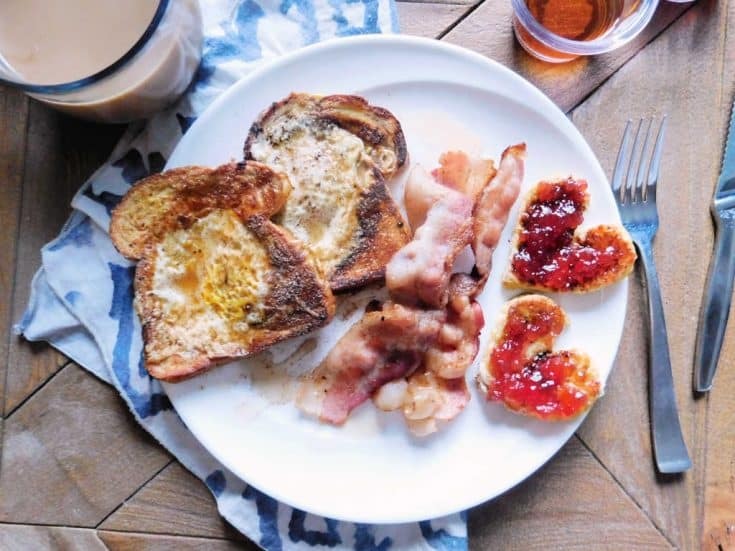 Bread is cut into the shape of hearts, dipped in egg and fried in bacon fat. The bread slices that have the hearts cut out of are then cooked in the bacon fat as well and a whole egg is fried in the center of the toast. This tasty dish is topped with jam, syrup and cinnamon sugar for a sweet and savory treat for your loved one. 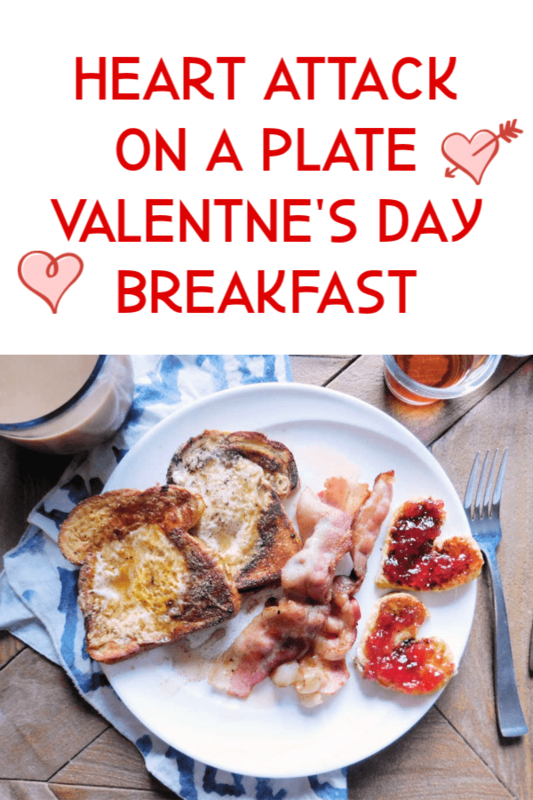 Put on your stretchy pants and head to the kitchen with me to make this Heart Attack on a Plate Valentine’s Day Breakfast. We are making one of the most unhealthy, artery clogged meals I have come up with on my blog today. I’m technically on a diet (not that that has ever stopped me from indulging in treats) so I only tried a few bites. My husband on the other hand loves this breakfast meal and gives it two big thumbs up. First, you will fry the bacon in a pan. I prefer to use a cast iron skillet. Once the bacon is cooked to perfection, set it aside- but don’t drain the pan. You will use the bacon fat to fry the rest of the ingredients. Next, you will cut heart shapes out of the bread. Do you have to cut a heart shape? Of course not, you can do any shape you like but this is a Valentine’s day post so I did hearts. Dip the bread hearts in a mixture of egg and milk and fry them in the bacon fat. Set aside to cool and top with strawberry jelly. Finally, take the remainder of the bread slices with heart-centers removed and dip them into the egg batter. You are making a french-toast-style Toad in the Hole. Be careful not to rip the bread, as it is delicate. Fry them on the pan and crack an egg into the center of each of them. Flip and fry until the egg is cooked. Assemble everything on a plate and add syrup and cinnamon sugar on top. Enjoy and make sure you clear the rest of your schedule for the day as you may fall into a food coma. What is a “Toad in the Hole” and where does the name come from? A Toad in the Hole in America and England are totally different breakfast dishes.The English classic Toad in the Hole is sausage links baked in a Yorkshire pudding like flour egg batter served with onion, gravy and vegetables. In North America it is a piece of bread with the middle cut out, toasted in a pan with an egg fried in the center of. In this recipe I made the American version, but with a twist- I dipped the toast in egg batter before frying with the egg in the center. Dishes like toad in the hole appeared in print as early as 1762, where it was described as a ‘vulgar’ name for a small piece of beef baked in a large pudding. Toad in the hole was originally created as a way to stretch out meat in poor households. Chefs therefore suggested using the cheapest meats in this dish. Despite popular belief, there is no record of the dish ever being made with toad. 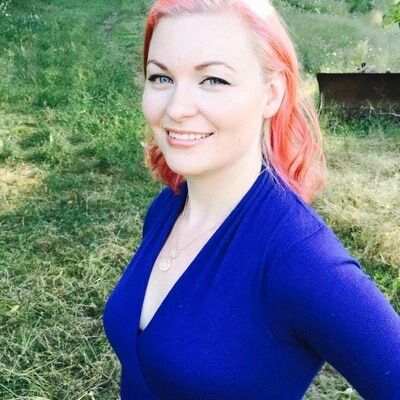 The origin of the name is unclear, but it may refer to the way toads wait for their prey in their burrows, making their heads visible in the earth, just like the sausages peep through the batter. Remember, if you like this recipe please rate it 5 stars! Heart Attack on a Plate: Heart shaped bacon fried french toast with Toad in a hole and bacon. Cook bacon on a frying pan at medium to high heat. 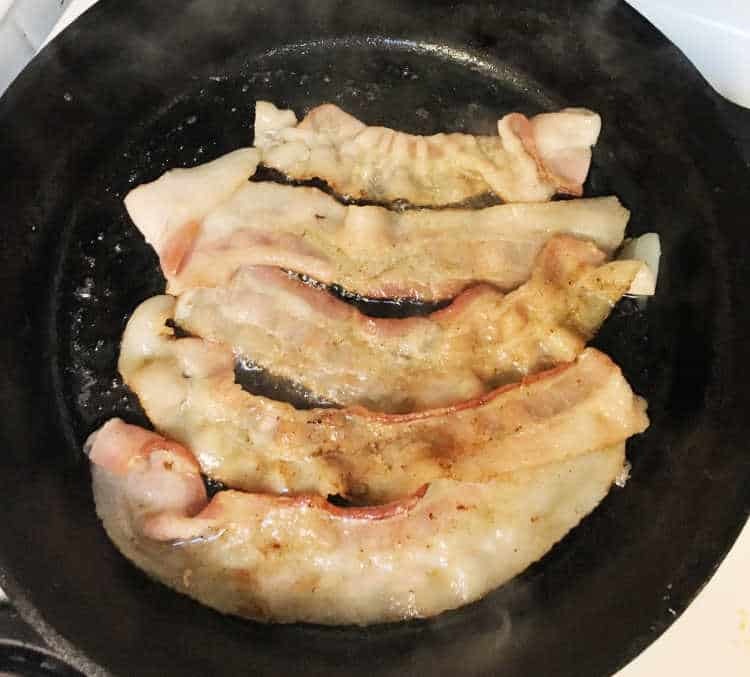 Once bacon is cooked remove it from the pan but do not drain the grease from the pan. 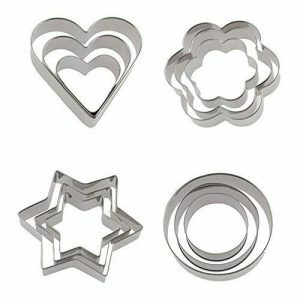 Use the heart shaped cookie cutter, cut hearts into the slices of bread. 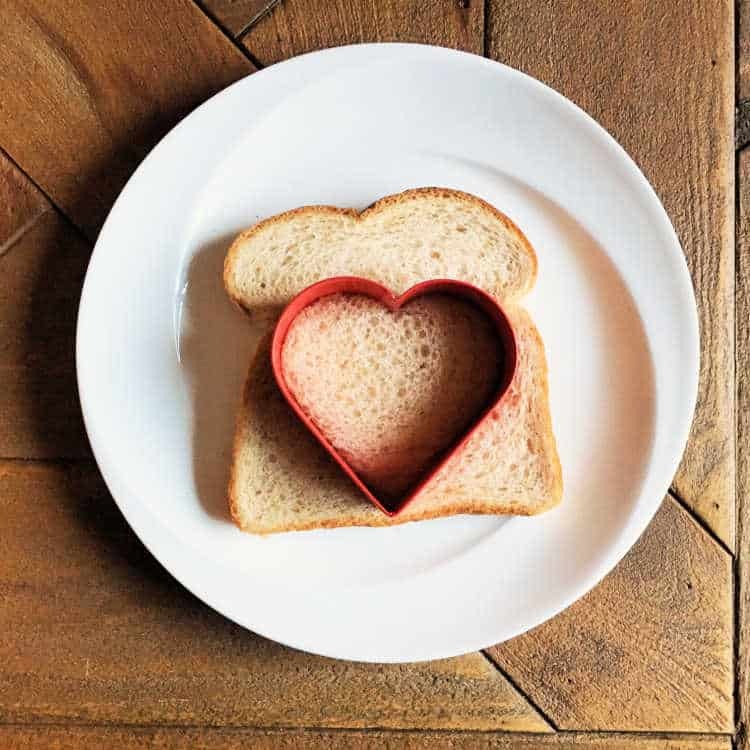 Use the bread hearts in the next step and set aside the rest of the bread for later. Crack two eggs and whip them in a shallow bowl with a dash of milk. Dip both sides of the heart shaped bread in the egg batter and then fry in the bacon fat until the egg is cooked. Set aside. Take the pieces of bread with the hearts cut out and dip them in the egg and then place on the frying pan. Crack and egg into the center of the bread. Fry until egg is mostly cooked and then flip it over. 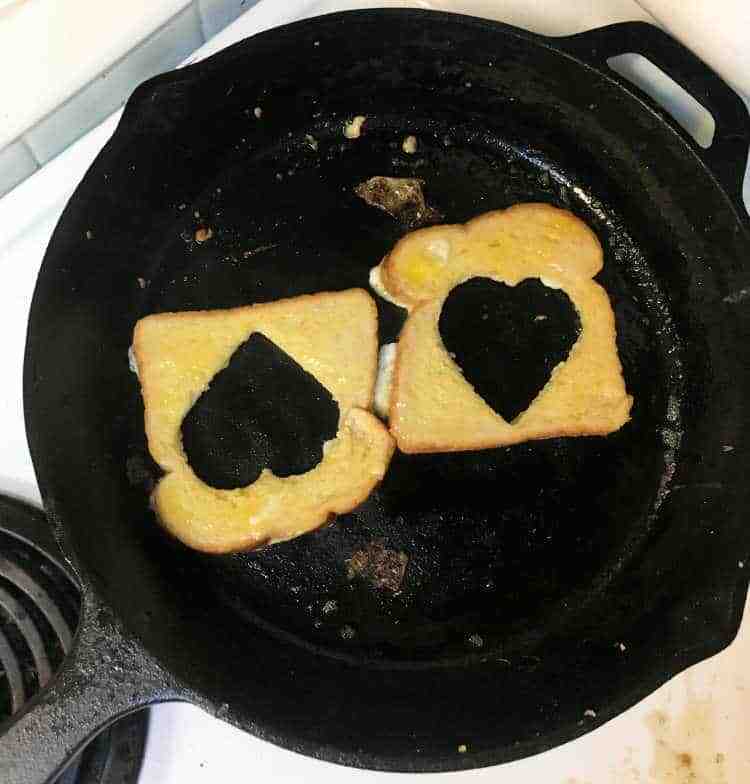 Assemble plate with cooked bacon, heart shaped french toast and heart shaped toad in a hole. Spread strawberry jam on heart shaped french toast. Drizzle maple syrup on everything and add a light dusting of cinnamon sugar.